Essential oils go right along with the body's natural ability to heal itself when given what it needs. Dr. Raechel enjoys continuously learning about the oils and using them proactively. 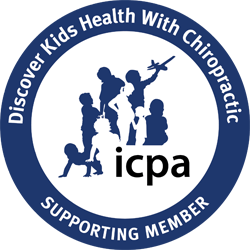 She especially enjoys teaching families how to utilize the body's innate intelligence with the use of chiropractic, nutrition and essential oils in the pediatric realm and beyond, as our kids need us more than ever in this toxic world! Dr. Raechel enjoys the flexibility of being part-time at the office, which gives her the opportunity to spend these amazing young years with Graham. She also loves attending frequent pediatric seminars and trainings where she and Dr. Brett are able to sharpen their skills and better serve the community. When not in the office, Dr. Raechel enjoys spending time with family and living without a schedule (which is rare!). In a perfect world, she'd get to sleep in, read and enjoy a 70 degree sunny day outside with my family. For more information on essential oils, or to schedule an essential oil consult, please email info@corechiropracticandwellness.com and we'll get back to you as soon as possible.